Due to service developments we are looking for a motivated staff nurse to join our Gynaecology nursing team. 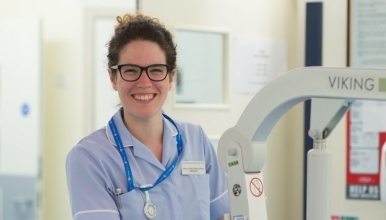 The successful candidate will be able to expand their knowledge and skills within Women's Health by working on the ward and Outpatients Department. Duties will include preparing patients for their procedure, good documentation, chaperoning consultations and learning how to assemble diagnostic equipment. Good communication skills are essential as is the ability to work as part of a team.